A meditation practice, at its best, transports you to a state of calm and clarity. For people like us here at Good Night’s Rest, that state could well be synonymous with a restful sleep—and it could be just as elusive. Transcendental meditation, in its very name, carries the promise of helping us reach that place of tranquility and relaxation. Though its founder, the Maharishi, once claimed that he could have picked any other name, many transcendental meditation practitioners (A-lister or otherwise) are quick to testify about the method’s benefits. Compared to some of the other methods we’ve covered, however, there are fewer people running blogs dedicated to transcendental meditation. We think that’s because transcendental meditation requires direct instruction, so the material you’ll need to start and sustain a practice comes from your designated teacher. Unlike, say, mindfulness meditation, transcendental meditation resists picking and mixing tips or techniques from whatever sources you might find online. This is one of the biggest foundations dedicated to transcendental meditation and the teachings of the Maharishi, and its website contains the plenty of information to help beginners figure out if the method is for them. There are links to research studies on the method’s effects, introductory videos and articles that explain the method’s unique details, plus a handy guide for finding nearby teachers or centers. 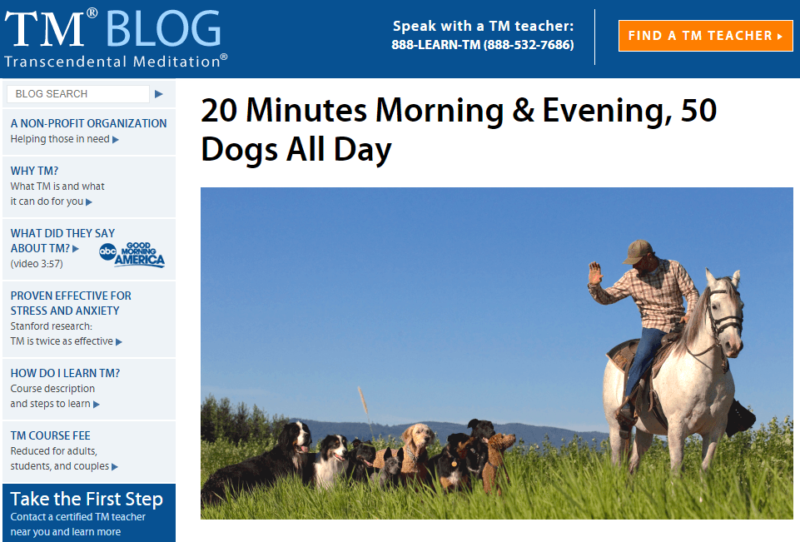 We like the blog, which regularly features stories from longtime practitioners about how they’re using transcendental meditation to address specific aspects of their everyday lives. 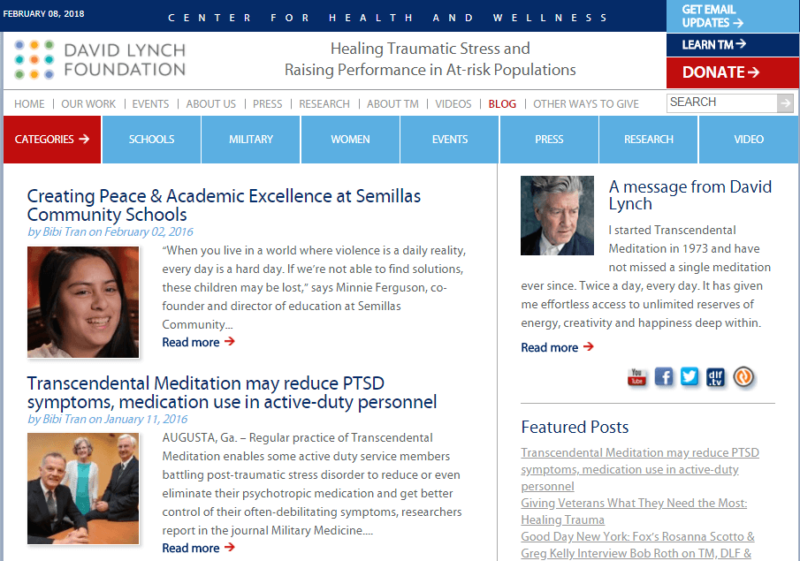 The Maharishi Foundation USA is also included in our Top Meditation Blogs. 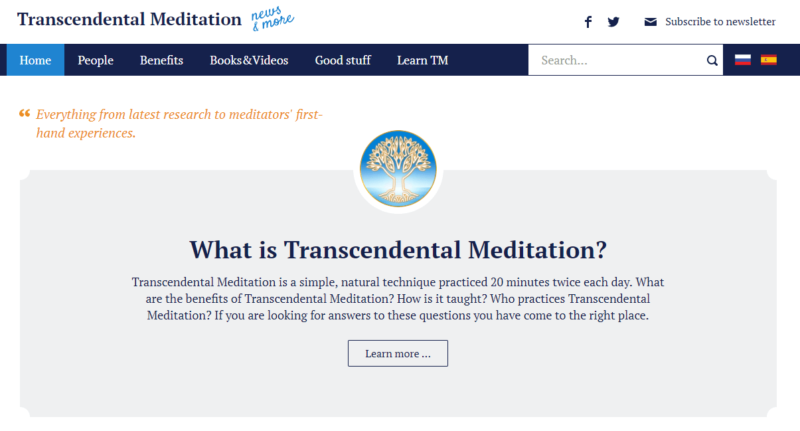 This site collects the latest news about transcendental meditation and its many famous practitioners. It’s a great stop if you ever find yourself wondering if meditation—transcendental or otherwise—has any place in the modern world. TMHome doesn’t provide instructional material, but it does bring you up to speed on everything from transcendental meditation-related research developments to events staged by organizations like the David Lynch Foundation. You’ll also find inspirational quotes, links, and a few tips to help enrich your personal practice. The David Lynch Foundation is one of the most active and vocal organizations dedicated to transcendental meditation today. Its blog features coverage of the foundation’s various events and press, as well as posts from experts and practitioners about transcendental meditation’s effects in settings like public schools and prisons. Articles are conveniently grouped by theme, so you can find information about, say, the latest research or foundation events in just a few clicks. 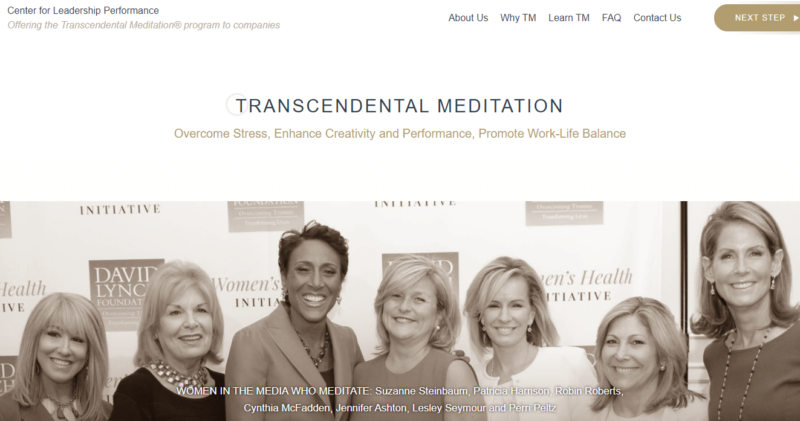 As the name suggests, this site talks about how transcendental meditation can tackle the needs of today’s women, especially mothers. 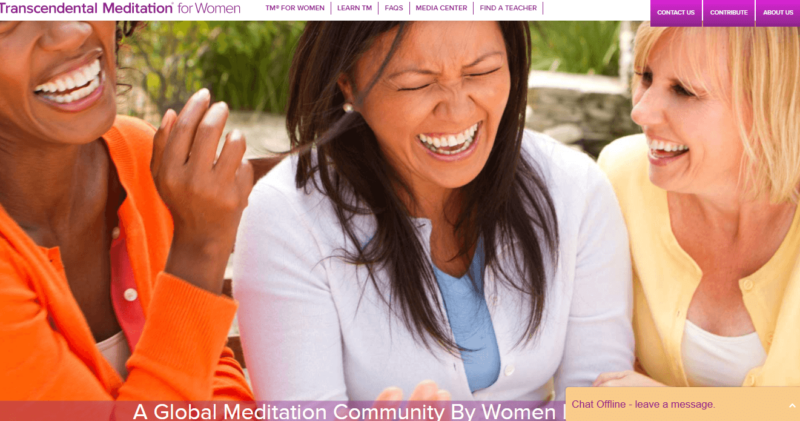 You’ll find FAQ sections and regular blog posts about how transcendental meditation can address common issues and unique challenges encountered by many modern women: professional development, mother-baby care, and more. The site provides a free introductory video to help you decide if the program works for you. This is the Maharishi Foundation USA’s sub-group that deals specifically with transcendental meditation’s uses in the workplace. You’ll find videos of talks delivered for business leaders, links to relevant articles from various publications, and an extensive FAQ section that deals with common questions beginners might have before committing to the program. 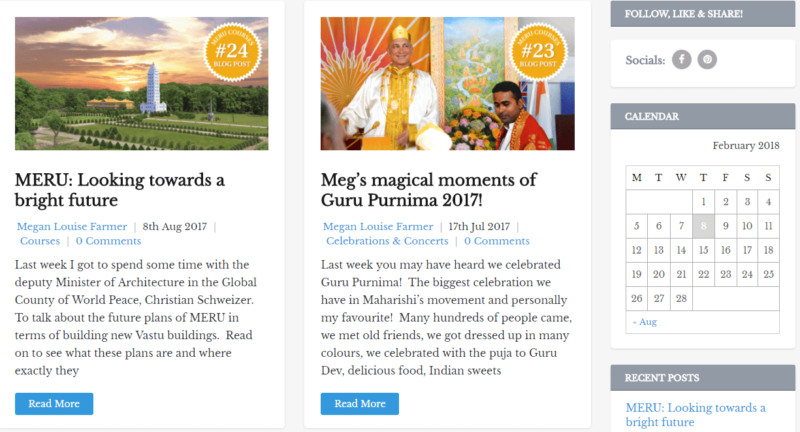 There are several universities that incorporate the Maharishi’s teachings into various university curricula, and MERU has one of the more active blogs. If you’re a college student interested in using transcendental meditation to deal with the stresses of school and student life, this is the site to read. You’ll find reports from the MERU’s incorporation of transcendental meditation into the university’s routines, interviews with Vedic experts resident at the campus, posts on transcendental meditation’s history, and more. The Meditation Trust is another group (this time, based in the UK) dedicated to making transcendental more accessible. You’ll find schedules for free introductory workshops and talks, as well as details for finding Trust offices near you. 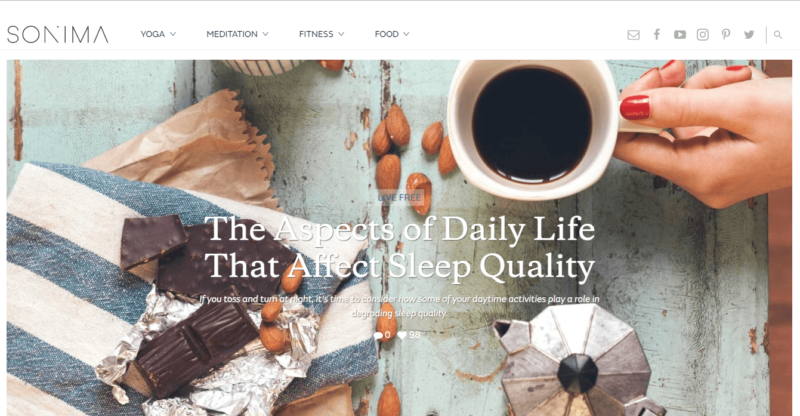 The website itself features regular blog posts that dig into transcendental meditation’s positive effects on issues like business or commuting woes. You’ll also find insightful interviews with experts like longtime meditation coaches and certified psychologists, as well as a free e-book on transcendental meditation. 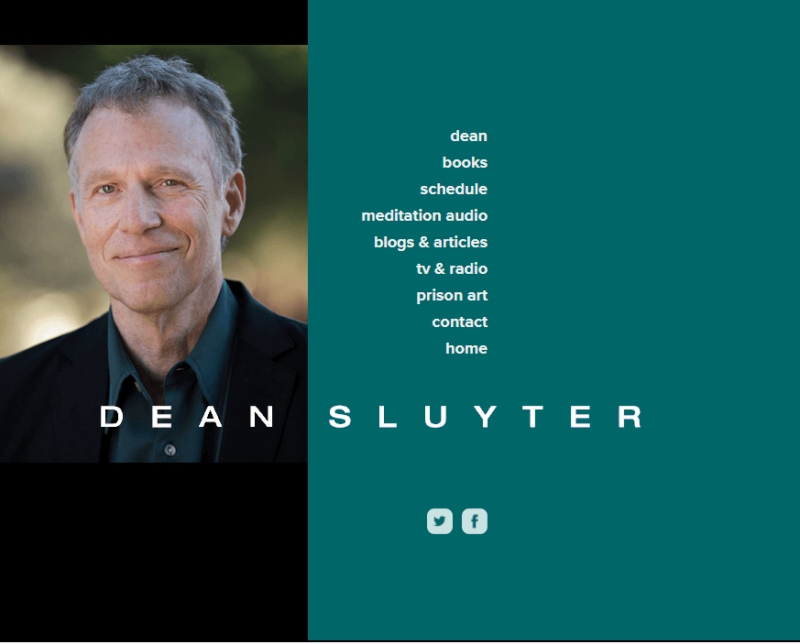 Dean Sluyter worked as a certified transcendental meditation teacher from 1970 to 1993. While he’s since shifted to other forms of meditation, his site offers resources that can also be enfolded into a transcendental meditation practice. You’ll find guided meditation audio, most of which is free to stream. There are also handy links to Sluyter’s meditation articles in publications like O Magazine, LA Yoga, Instyle, and the Huffington Post. His articles tackle topics like common meditation myths, meditation tips and reflections, and more. 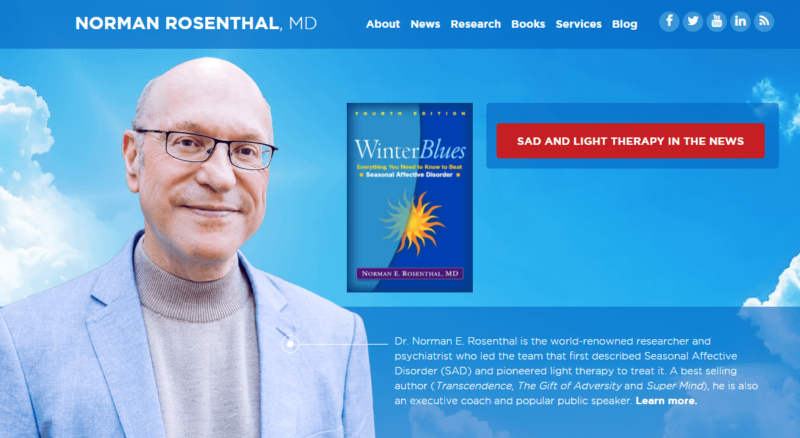 Dr. Rosenthal is one of transcendental meditation’s top proponents in the medical field, and his website is full of resources for people hoping to use transcendental meditation to address medical afflictions and physical issues. While Dr. Rosenthal’s blog hasn’t been updated in a while, the existing posts do offer some great tips for using meditation to develop psychological resilience, reduce workplace stress, and so on. You’ll also find videos of Dr. Rosenthal’s talks and speeches, as well as commentary on transcendental meditation’s medical applications. 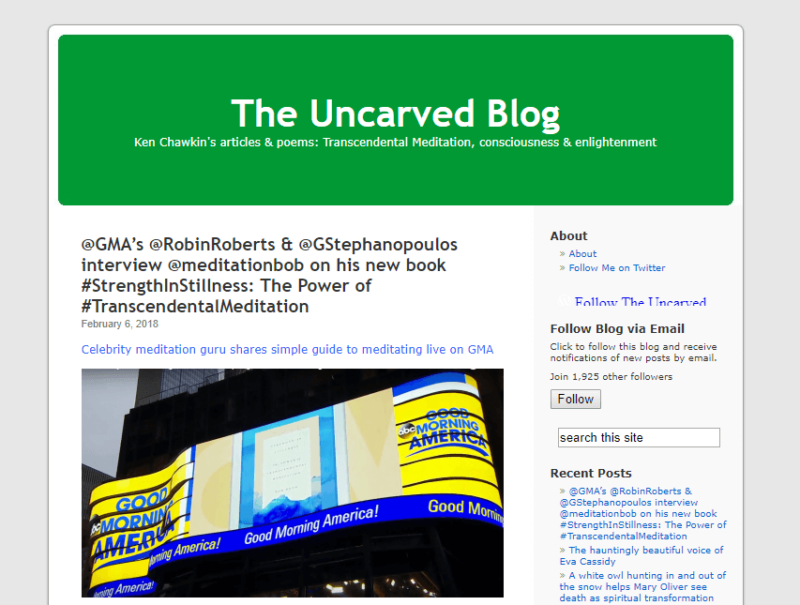 The Uncarved Blog is run by Ken Chawkin, the former media relations director of Maharishi University of Management. He still talks mainly about transcendental meditation, with posts featuring commentary on the latest transcendental meditation-related news, reflections on practicing transcendental meditation, information about recent research or events, audio and video clips, and more. This blog is run by Roger Holmes, a motivational coach and longtime meditation practitioner. While the blog is named after—and largely dedicated to—Holmes’ own PARIS method of meditation, Holmes himself started supplementing that practice with transcendental meditation in 2017. He writes about his own experiences with meditation and posts reflections that can also give you something to ponder on your next meditation session. 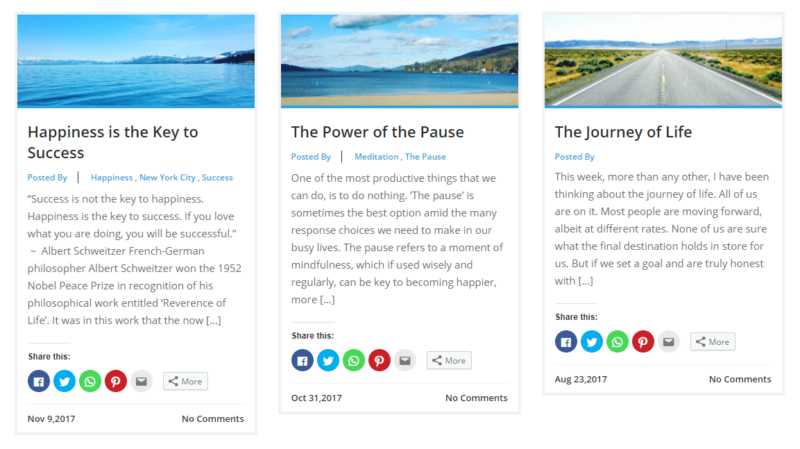 If you’re looking for a more personal take on transcendental meditation, Holmes’ blog is worth checking out. This is another site that isn’t dedicated to transcendental meditation per se, but which can serve as a valuable resource for a budding practitioner. Transcendental meditation traces its roots back to India’s ancient Vedic traditions, and if you’re intent on overhauling your lifestyle to support your developing meditation practice, this site will be your best friend. 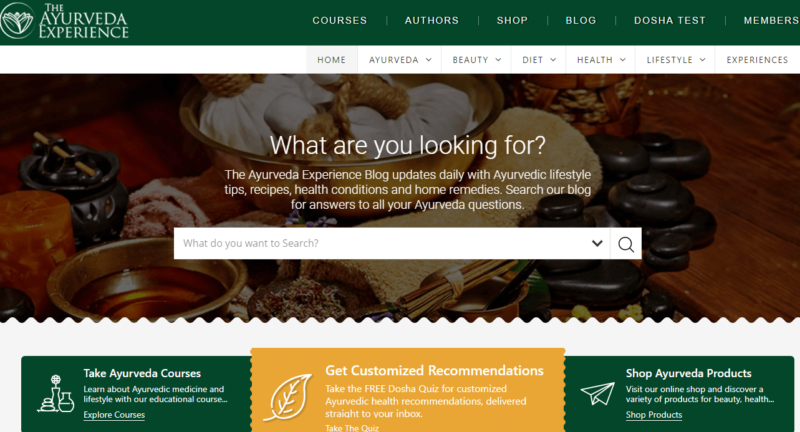 You’ll find recipes for Ayurvedic diets, articles on the medical benefits of meditation and other Ayurvedic practices, and other changes—big or small—that you can try for yourself as you build a different lifestyle around your meditation practice. If The Ayurveda Experience doesn’t work for you, give Sonima a try. This is another general lifestyle blog that hews close to the outlook espoused by transcendental meditation practitioners. There’s a whole section dedicated to articles on meditation, but branch out from there and you’ll find lots of information from experts like Deepak Chopra, articles on fitness and food, and more. There are also guided meditations to help structure your sessions, including some designed specifically to help you sleep.